Travel is something we consider ourselves quite good at by now. We’ve learned how to pack efficiently, how to budget (cough cough), the places to eat and the places to not bother with and, on the whole, how to not accumulate crap as we travel. Note, this does not apply when we are actually LIVING in a foreign country, where we gather beautiful, impractical and heavy books like we were starting a library, eventually shipping them back to NZ at great cost to await our eventual return…but that’s another story. The moral is that when we are on holiday, we take very little and sometimes leave a wee bit of extra space for a small souvenir or gift for someone. Yes, we factor that into our packing by this stage of our adventuring. How organised is that?! Day one (and every other day!) saw us trawling the Muslim food quarter and BANG before you knew it, we had bought something to shame/delight our future offspring with…after all, what baby doesn’t need to be dressed up like an undignified *but oh so cute* panda bear?! Of course now the highlight of his days is meeting people like us. Oh and Bill Clinton. You know. Just the usual. 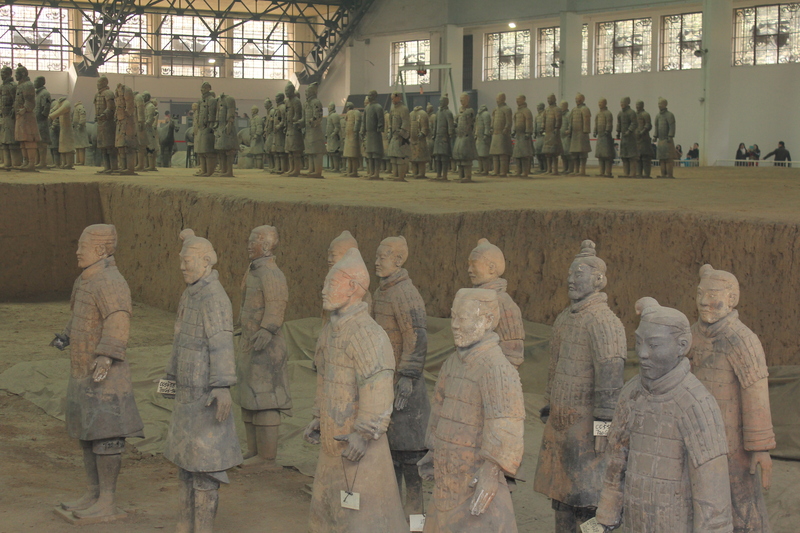 The terracotta warriors are pretty spectacular. In vary degrees of fixed-up-ed-ness, these dudes stand proud and, to be honest, a lot taller than we were expecting! 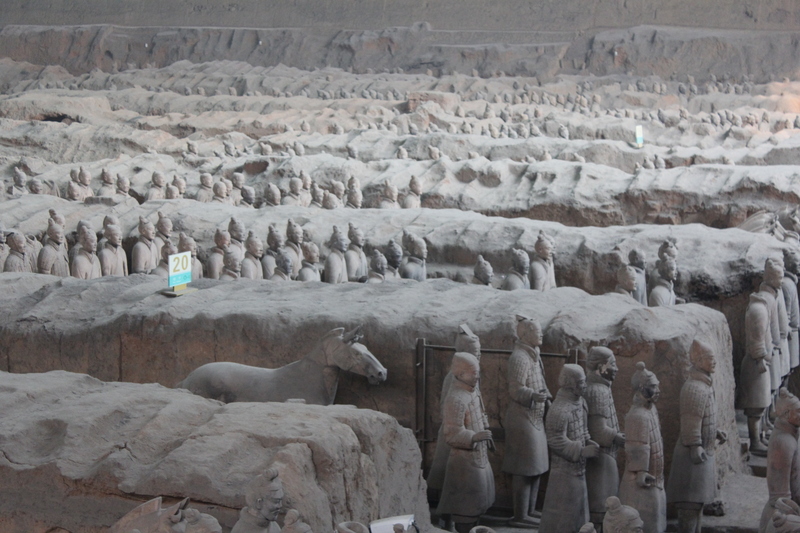 700,00 workers were employed to make an estimated 8,000 soldiers, 130 chariots with 520 horses and 150 calvary horses, all in the aid of protecting the first Emperor of China, Qin Shi Huang, in the afterlife. What’s really cool about these guys, is that their faces are all different and their heights, hairstyles and clothing all vary in accordance with rank. Imagine being the project manager of this epic task! Out of nowhere, Dan decides that the absolute best way to commemorate this day and have it live on in memory forever is, naturally, to take a warrior home. After sneaking off from our ‘non-shopping’ tour, he pursued a vigorous inspection of the various sizes, shapes and prices of the terracotta. FYI, these things are NOT cheap. Prices come in two brackets, the first being inclusive of shipping, the second without but most normal, sane tourists opt for the first option so their expensive purchase can be appropriately wrapped, insured and shipped carefully to the international destination of choice. Logistically, it also saves you the hassle of walking out with a heavy terracotta man under your arm. But not our Dan, oh no. For the particularly man he wanted, the price with shipping was prohibitive, confirmed by a direct NO from the relative piece of plastic. When he reswiped with the non-shipping price, the resounding yes, meant he was now the proud owner of his very own piece of artificial history. Which he would have to carry back to Hong Kong and eventually New Zealand. Of course, the laughs don’t stop there. H-J couldn’t help but point out that he hadn’t even in fact purchased a warrior but the Emperor himself, who isn’t even depicted in the pits. 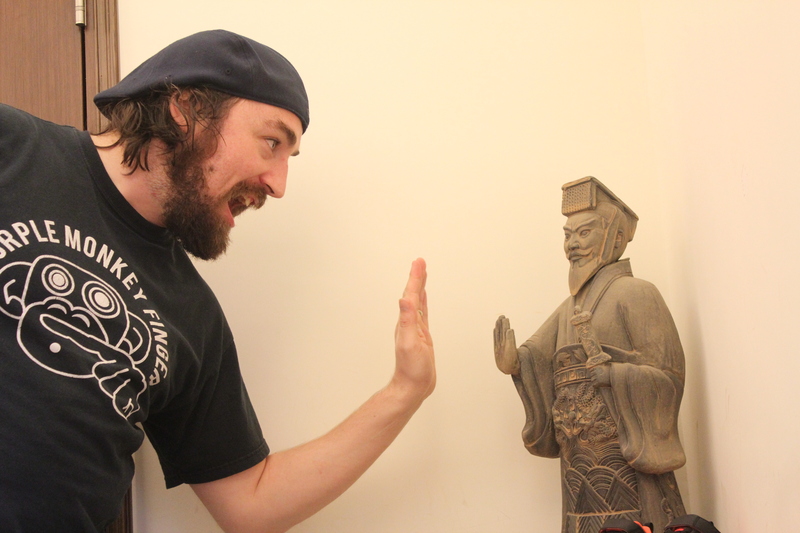 Still, Dan was chuffed and even now regularly high-fives the little stone guy who presides over the corner of our lounge. The budget was fairly well annihilated by this point but we do have a few other weird purchases to share with you. Remember these from the food street? Vibrant, gorgeously-green, dried kiwifruit, look lovely in big, abundant displays lining the streets of the crowded markets. Why we thought we needed to bring a large bag of them back to Hong Kong with us, we’ll never quite figure out. 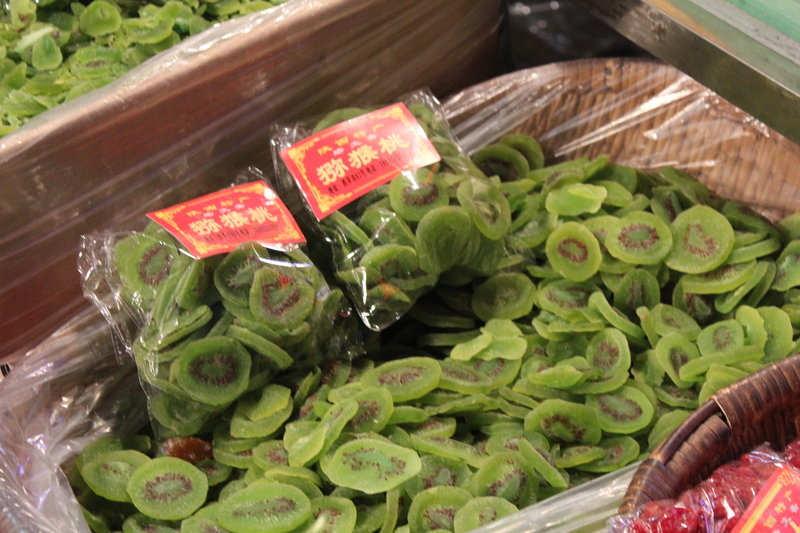 For the record, they taste way less like kiwifruit and more just like sweet, chewy discs. Chances are we’ll just rehydrate them and put them in a cake or something which potentially defeats the entire purpose of the exercise. 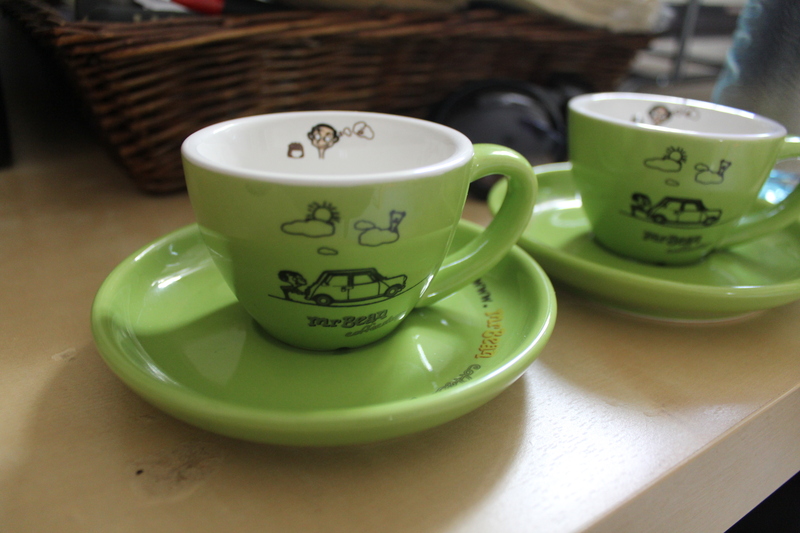 Last but not least was the equally weird purchase of a matching set of Mr. Bean themed demi-tasse. 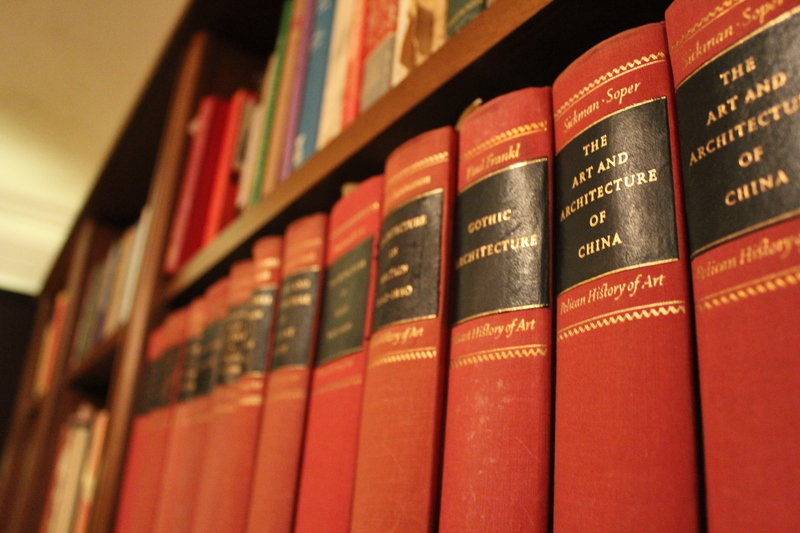 There is nothing remotely Chinese about these or any way can really justify this buy, other than to say the behaviour can be somewhat explained by the nature of the day on which we bought them…but that’s story for another blog! In the meantime, we should probably have our cash removed and be sent to the corner. 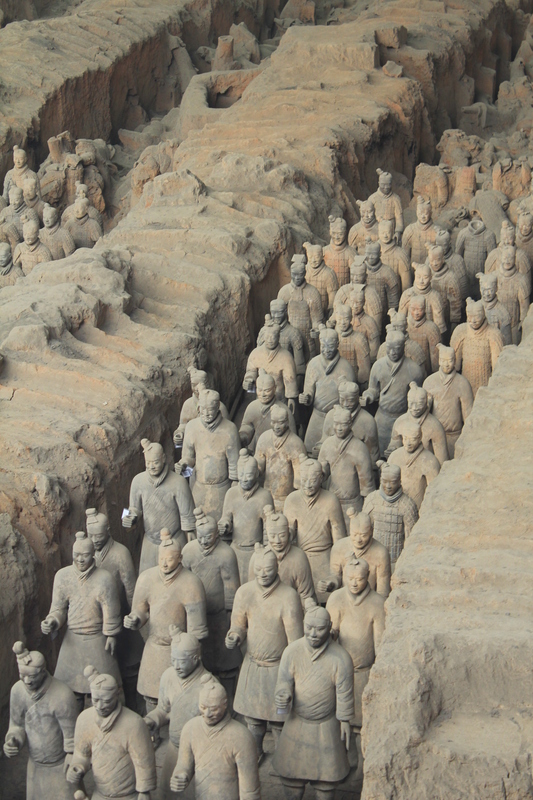 Just loved your blog about the terracotta army. 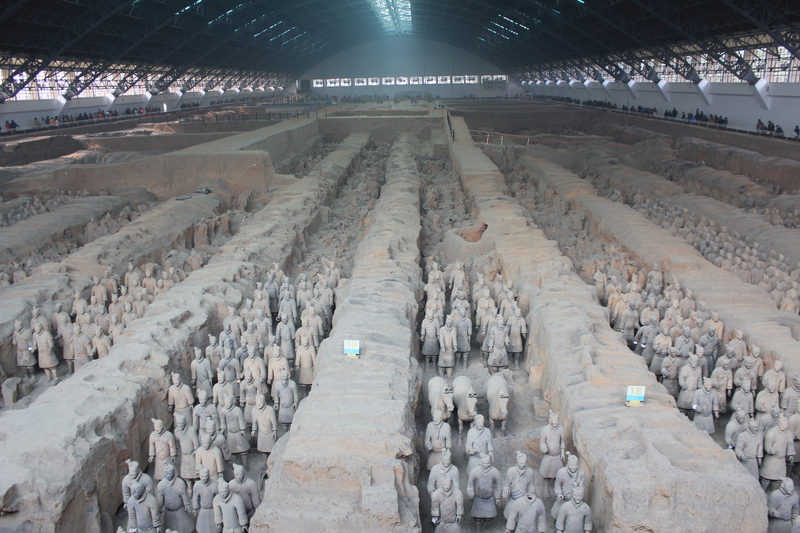 What an awesome sight, and to think Dan will be bringing home his very own Emperor ……! How are you HJ? I think of you often and wish you were home where you would definitely be subjected to some mollycoddling, as is the wont when friends are incubating a little babby! Nice to hear from you, Elaine! We’ll be back in NZ before you know it (we’re SURE this year will fly by with everything we have going on!!!) and it will no doubt very quickly feel like we’ve never been away. Good thing we’ll have the Emperor to remind us of our travels, hehe. 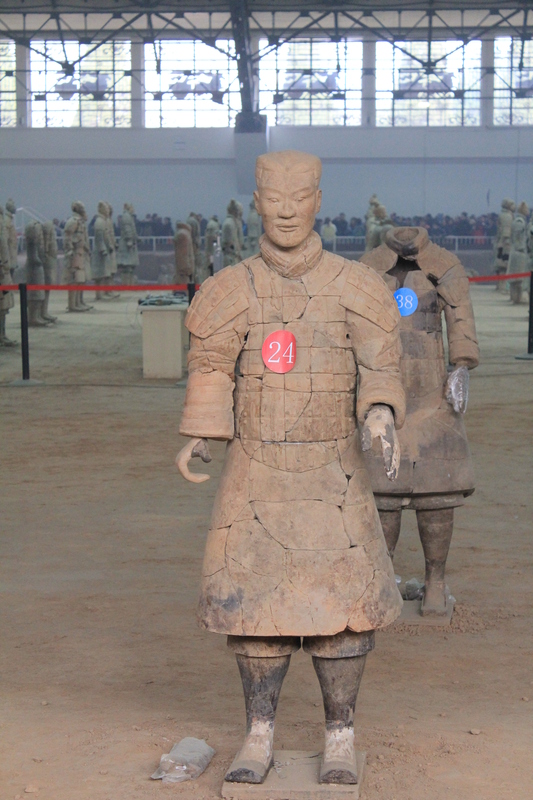 We saw some of the warriors on their travelling show at the British Museum, epic but nothing compared to what you can see in your pix, Xi’an is definately on my list. 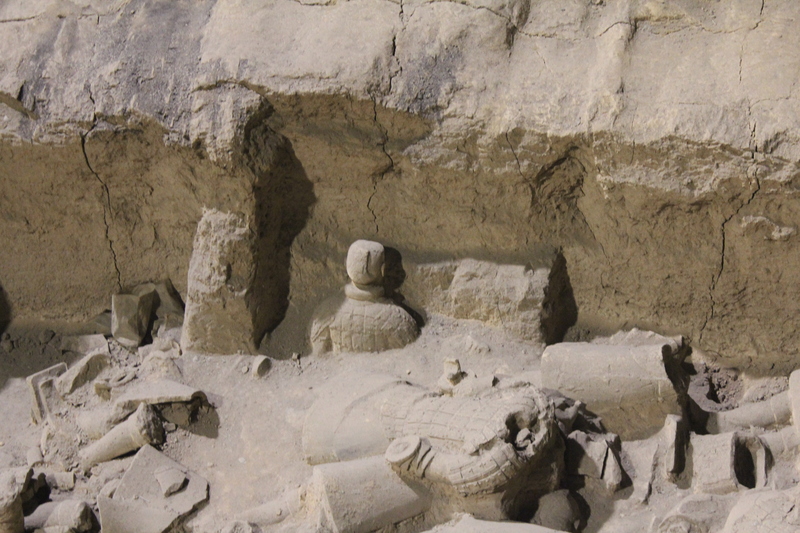 It’s definitely a really interesting place to visit – loads going on and the heart of a lot of China’s history. Oh and the food……mmm…. 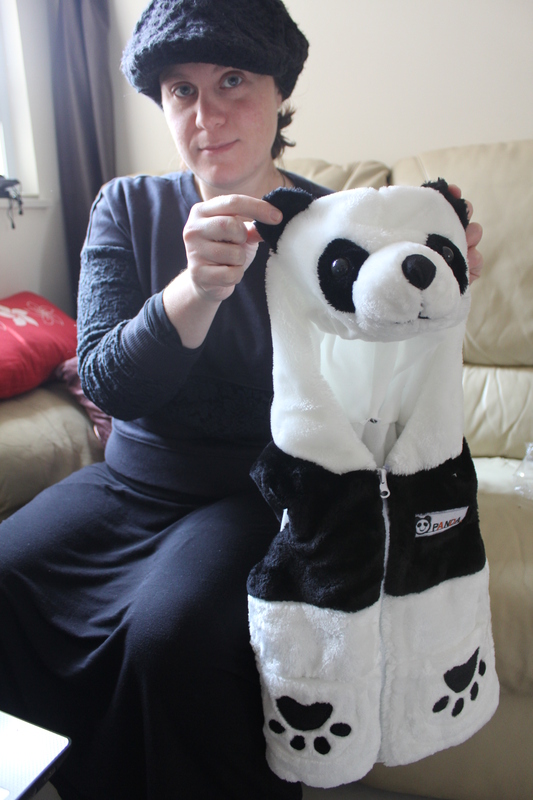 Well least you could wrap up the little emperor in the child’s panda suit to get it back home to Hong Kong safely! Would have loved to see you guys stuffing that thing in a overhead bin. D’oh! Why didn’t we think of that?! Dan just wrapped it in love instead…haha. 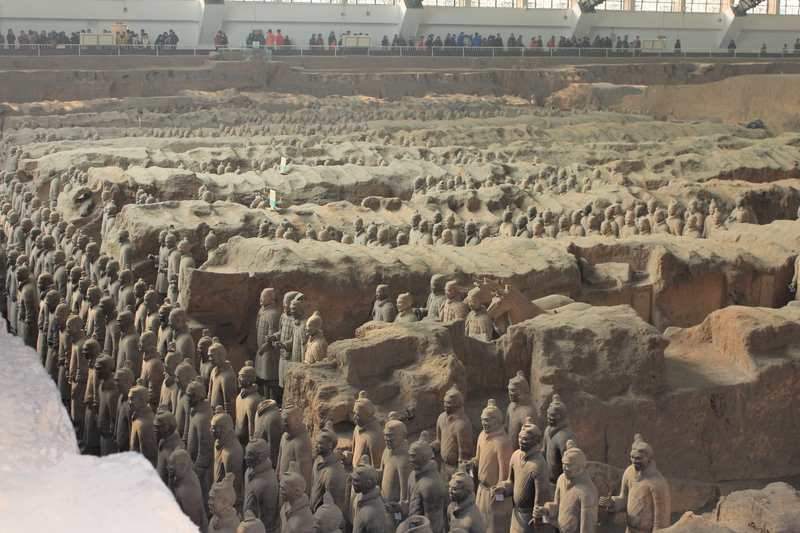 So amazing you were able to see the terracotta warriors in person! AND shake the hand of the man who found them! EPIC!!! I love your impulse buys. Especially the panda outfit. Squeeee!!! I bet you can find some crazy cute if not slightly bizarre baby stuff in China! Perfection! Terracotta emperor is worth the cost! That’s so cool! 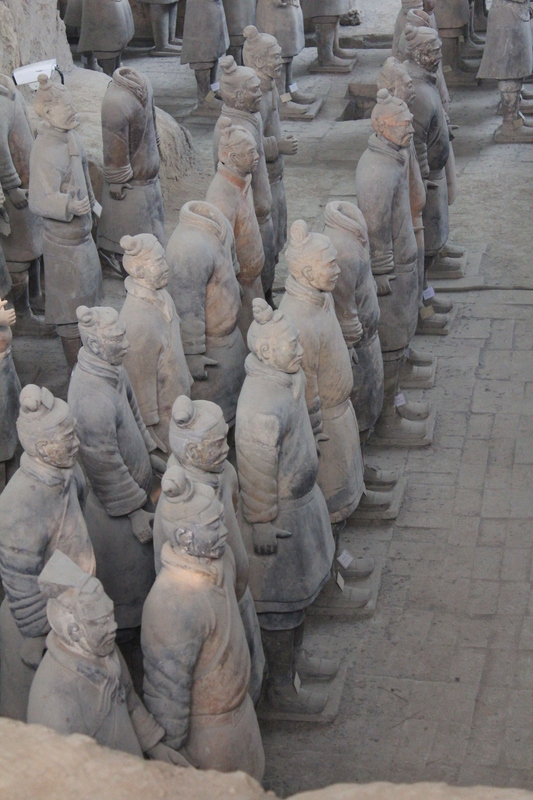 And I had a good giggle, because my entire knowledge of the terracotta warriors is what I learned from the most recent Teenage Mutant Ninja Turtle movie that came out several years ago… haha! Yeah, I’m a dork.. Heroes in a half shell…TURTLE POWER! Don’t worry, I used to have the comics, the trading cards, the sweatpants (seriously)…I even saw a TMNT stage show in the 90s. Hehe.